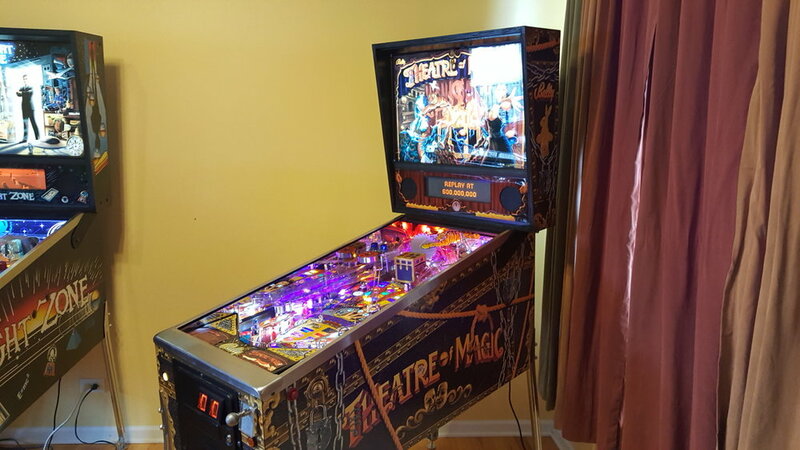 Theatre of Magic is a pinball machine from March 1995, manufactured by Bally Manufacturing Co. This game was designed by John Popadiuk and features many of his design staples such as magnets, a bash toy, and elaborate ramps. 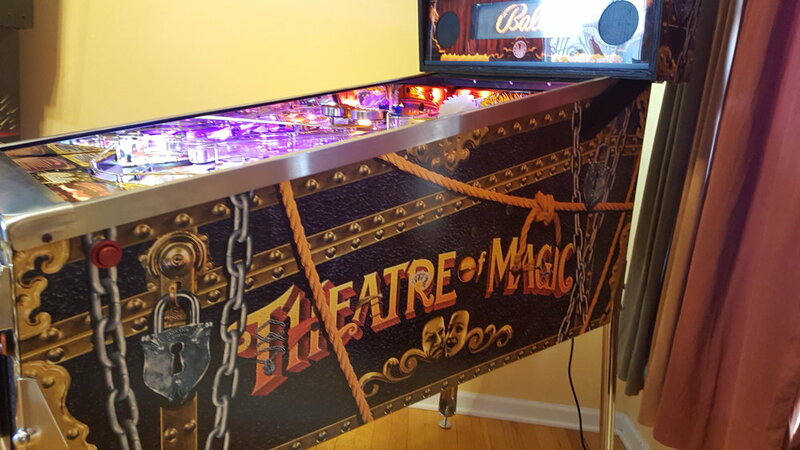 Theatre of Magic is based on an unlicensed magic theme where the goal is to perform eight different magic tricks and then complete a rather simple wizard mode. There are numerous side goals such as spelling "Theatre" and advancing the clock to Midnight Madness (not to be confused with the midnight madness featured in some other Bally/WMS games), as well as a video mode featuring a virtual pinball game. Notable features of this game include the prominent bash toy, dubbed "The Magic Trunk", which starts game modes as well as multiball, and plays a role in many of the aforementioned modes. There is also a machine-controlled magna-save feature placed over each inlane, as well as a magnetic ring that picks up the ball and moves it from one ramp to another. Finally, there is a hidden scoop that pops up from the playfield in a manner similar to the trolls in Medieval Madness, which releases balls shot into the crate and locked balls for multiball, as well as giving a mystery award during normal gameplay.